“JD app se pucho” has become the main tagline for the local search market Justdial. It has become so popular in India, that it’s advertisements run all across the country in billboards, social media, as well as, Movie theatres. However, this famous had humble beginnings like most successful ventures do, as a classified website. 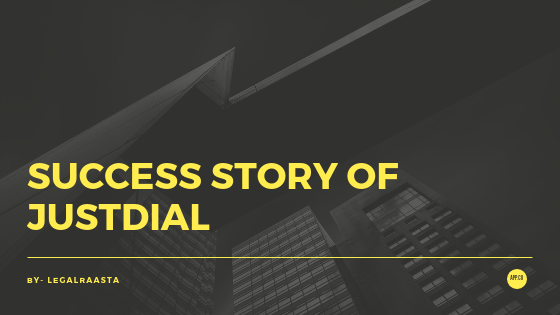 In this piece, we are going to go over the success story of Justdial or JD as people have come to know and also acquaint you with the process of JustDial registration. Today, JustDial is popular and successful enough to employ the services of one of India’s most famous actors, Mr Amitabh Bachchan as their brand ambassador take a look at one of their creative adverts. Justdial came from humble beginnings, once they did their company registration in 1994, they started out in a hired garage, with rented furniture with a meagre investment of ₹50,000 and 5-6 employees. The Founder of Justdial, V.S.S Mani has been a serial entrepreneur throughout his career. However, this business acumen was inculcated in him in his early days as a sales executive in a yellow pages company called United Database India(UDI) where he was employed for a time period of 2 years. Mani credits the 2 years in that organization as being superior to what any MBA program would have taught, as he met with many entrepreneurs and learned a lot of business strategies. Endowed with knowledge and inner workings of a local indexing business, He started a company called “Ask me” and although the company formation was successful, the business soon failed since the business model wasn’t viable as the penetration of telephones was less than 1% in that time (1989). Although the name “AskMe” was a catchy name which hit the customer’s mind, the lack of a telephone number with a good and memorable hook to it meant that people would often forget the number of AskMe and would go for another local search listing. After the failure of AskMe, Mani decided to jump into the wedding planning business. Mani was successful with his business venture this time as he generated a revenue/ profit margin of ₹ 2.5 lakhs. However, still dissatisfied with his line of work and the business model, Mani decided to jump into the local indexing business once again with all the learnings of his previously failed enterprise as well as his successful business venture. Mani was not a quitter, and with the newly gained insights, he stretched the company to new unimaginable heights. For the FY 2018, Justdial reported a revenue generation totalling to ₹ 121.63 crores. As of today, JustDial provides voice services on their new and “improved ” and easy to remember telephone number +91-88888 88888 or “10 times 8” . Mani corrected his previous mistake and acquire a very easy phone number. As of today, the local market search engine receives over 3 million calls on a daily basis. In addition to this, Justdial has 23.8 million listings as of September 2018. 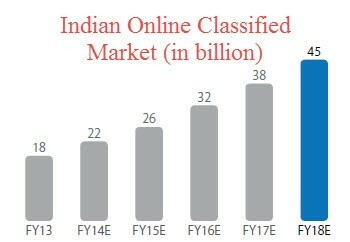 Justdial has 131.3 million quarterly unique users with more than 10 million plus downloads of the app. The business model of Justdial was very well drafted, consolidated, as well as, ingrained in the employee’s heads that from a rented garage, the employee’s took the company to 15 offices all over India and offices in UAE, Canada, UK and USA. Let’s look at just how Justdial achieved such a widespread outreach. First things first, contrary to his first venture the founders of Justdial got a catchy and easy to remember the telephone number. Since they started out as a calling yellow pages company, they needed a telephone number which user remembers at their fingertips. Thus, they acquired the phone number 10 times 8. This, combined with the name Just Dial made the company easy to remember. Once they had established a brand to remember the next obstacle that faced the Justdial team was one of populating a database. They achieved by approaching local businesses personally on foot door to door. They continued this process until they had a substantially healthy database. Once Justdial established a good database with considerable volume, the next challenge awaiting them was getting the users to use their extensive research and database. In the first go, it is very tough to generate an audience for your platforms since the company is short on funds and the advertisement revenue is also little. Therefore, to promote the usage of their services, the business convinced their clients as well as their employees to use the services being offered by the company. One more efficient and smart tactic Justdial deployed was not to focus and target big name brands but it was to strengthen their ties with diverse local businesses. This basically helped people to search for small businesses for daily utilities like carpenters, plumbers, mobile shops, painters among others. This method of working on a word-of-mouth referral helped JustDial a lot and accelerated their popularity and skyrocketing the numbers for their user base. In addition, Justdial was adamant of being a helping hand towards Small and Medium Organizations. Justdial has proposed special provisions with value-added offerings of huge online visibility, payment solutions, customized website, mobile site, and mobile app all packaged together making it an attractive value addition for companies with an MSME registration. Justdial has a very efficient revenue model which cut their operation costs to a minimum. In June of 2012, JustDial raised a revenue totalling $57 million from existing investors Sequoia Capital, as well as, Sapphire Ventures. The revenue raised was managed very effectively for brand building, promotions and advertisement. Here are few objectives that were achieved via the investor money. Improving the relation of the brand with SME’s. Obtaining licensing to expand the geographical outreach of the company. Like we mentioned before, with the global outreach and vast network of JustDial, they started investing heavily in advertisements. They went into many mediums and sources like Print, Radio, Social media, cinema halls, Tv Adverts among many others. Amitabh Bachchan has been benefiting from being a brand ambassador of JustDial . In the IPO declaration it was revealed that he had been allocated 62,794 shares at ₹ 10/ share. That makes his total investment ₹6.27 lakhs at that time. That investment is worth somewhere close to ₹ 9 crore now. In addition to this, the popular Local Business Search Engine did guerrilla marketing by placing advertisements hoardings in front of crowded places, airports, railway stations and such. Justdial deployed tactics like offering various services during wedding season. Starting from 2014, Justdial also entered the business of sponsorship of sporting events like IPL. They teamed up with many cricketers most notably, Yuvraj Singh and franchises like Delhi Daredevils and Royal Challengers Bangalore. Why has Justdial been such a Hit? Business models adapts to the needs of the present . They shifted platforms from a telephone based directory to a web based directory and now to a Mobile App based services. Experienced Marketing and Management Divisions with extensive experience.